Could An EBT Scheme Lead To A Winding Up Petition For Your Business? Employee Benefit Trust (EBT) schemes have been used by hundreds of businesses across the country. Dozens of different schemes, some based in the UK and others offshore, have arisen over the years to allow employers to offer tax incentives to employees while paying them their salaries and benefits. HMRC are actively cracking down on EBTs, which had been widely demonised as ‘tax avoidance schemes’. EBT users are now at risk of being issued with Accelerated Payment Notices (APN), payment demands by HMRC for all taxes and NIC contributions they believe are due on payments made to employees through the scheme. Accelerated Payment Notices are controversial because payment must be made before final tax calculations are made. An APN cannot be challenged per se, although ‘representation’ can be made to HMRC to discuss the amount due and arrange payment terms. Membership of an EBT is not itself illegal, and not all schemes are currently subject to Accelerated Payment Notices. However, HMRC are conducting a thorough investigation into all the EBTs currently or previously active in the UK, the result being a directory of ‘tax avoidance schemes’ which is updated every three months. Companies that use or have previously used an EBT on the register may be issued with an APN. An Accelerated Payment Notice should be treated in the same way as any other tax liability. If an APN means that your total liabilities outstrip the value of your assets and you are no longer able to meet your financial obligations, it could make you or your business insolvent. HMRC themselves are active in pursuing unpaid APNs through the courts, although they were on ambiguous legal ground until the recent Rangers FC Case set a legal precedent in favour of the validity of APN payment demands. More decisions are now likely to go in HMRC’s favour when cases reach the courts. Even if you are able to pay your APN, it is possible that the financial strain will get you in trouble with other creditors, up to the point that you may be issued with a winding up petition. This is the worst outcome for an insolvent business and should be avoided at all cost if possible. The first thing you should do if you have used an EBT is to check whether your scheme is on the register of EBTs liable for Accelerated Payment Notices. If it is, you should assume you will receive an APN at some point and take steps to calculate your tax liability. This should be done in conjunction with a qualified financial advisor, accountant or insolvency adviser. 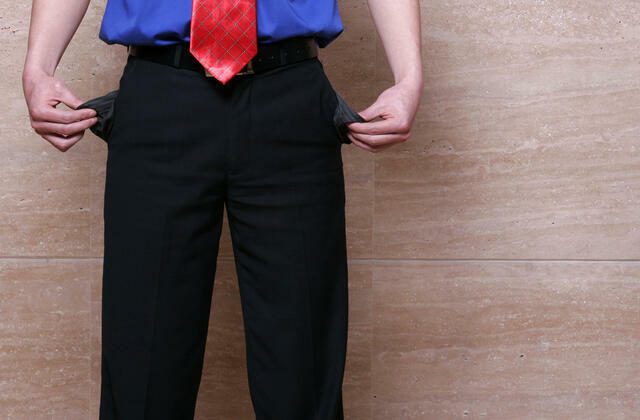 If you are concerned that an APN will make you insolvent, start making contingency plans now. A winding up petition is always the last resort and there are other options available that may let you salvage some assets from your business – as well as your own livelihood and company reputation. Are You Worried About The Financial Future Of Your Business? If you are currently insolvent, or are worried about the future of your business, take action now and speak to one of our licensed insolvency practitioners. We can provide impartial advice about the best course of action to take for your business, and provide practical support with HMRC, the courts and other creditors if you need to wind up your business. Get in touch with one of our advisers by calling 0333 014 3454. Alternatively you can arrange a free initial consultation at one of our local offices by contacting one of our national team directly. Click here to find a location near you.